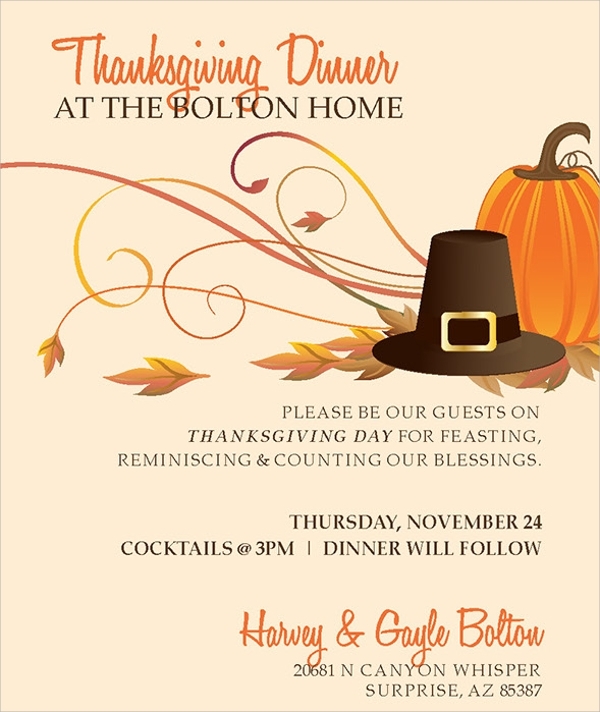 Thanksgiving Day is an important event and the dinner invitation during that day is a must for everyone. 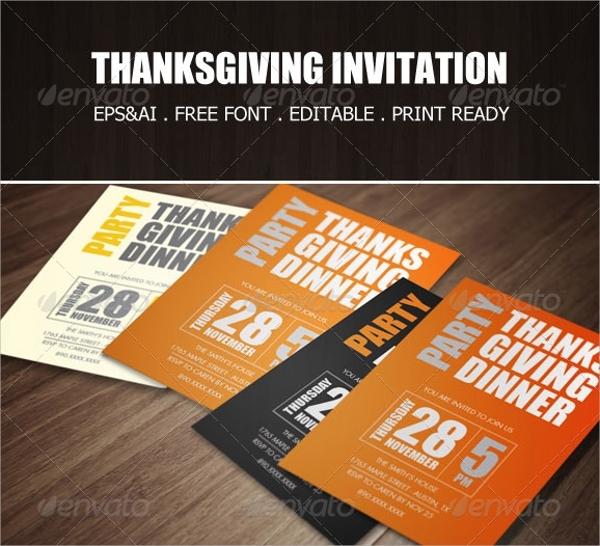 People send out invitation cards which could be formal, informal and even Email Invitation cards. 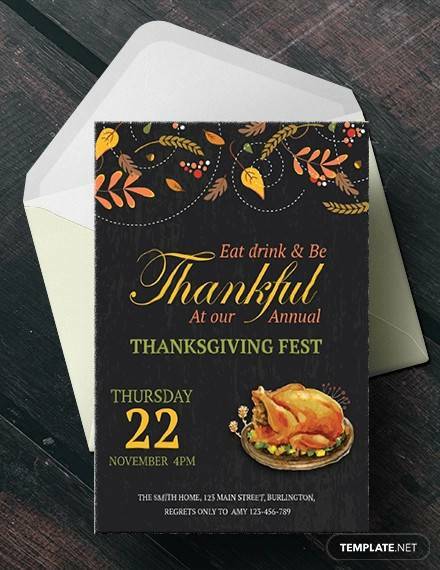 The following ‘Thanksgiving invitation’ samples have all the required templates that are eye-catching and stunning in design. 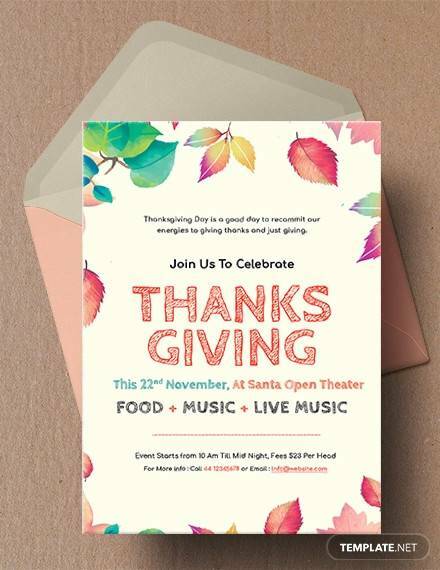 There are corporate invitation cards, premium invitation cards, digital invitation cards with awesome designs and layouts. They are fully editable and vector in size. Amazing fonts are available for free download. 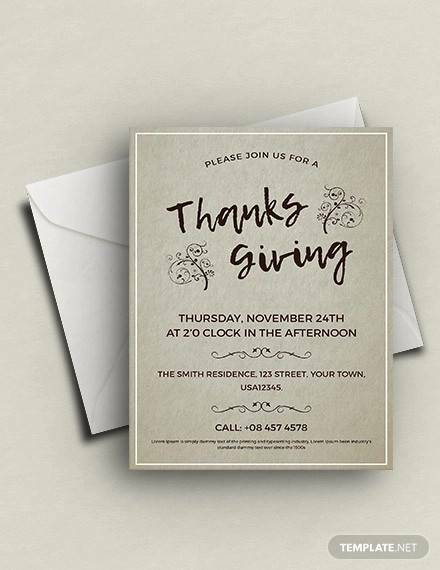 This is a clean and minimal design Thanksgiving invitation postcard template. It has a white background and shuttle patterns on both sides of the main design and text. It comes with a high resolution of 300 dpi and 4 x 4 inches size. 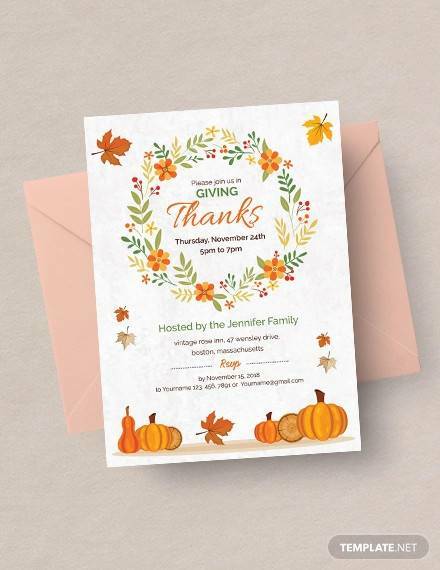 This is a traditional Thanksgiving invitation design template with dry leaves and fruits around the borders. The leaves have multiple colors to make it look all the more eye-catching. 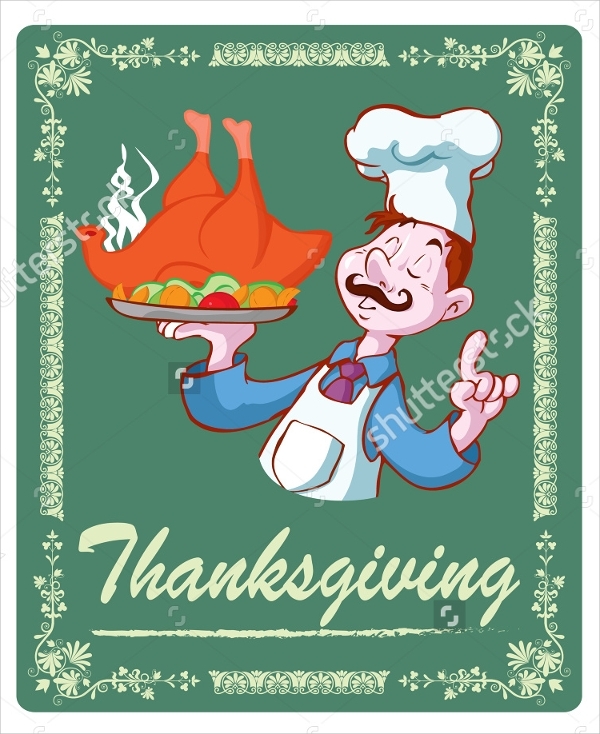 It comes with a high resolution and is vector in design. 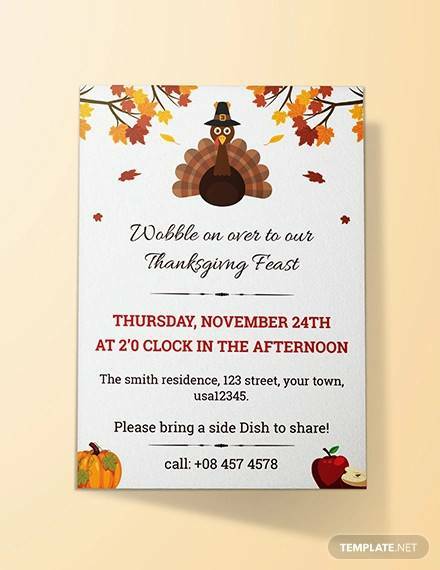 This is a wonderful Thanksgiving invitation card template with a light colored background. The objects are relevant and add to the overall beauty. The fonts are awesome and available for free download. 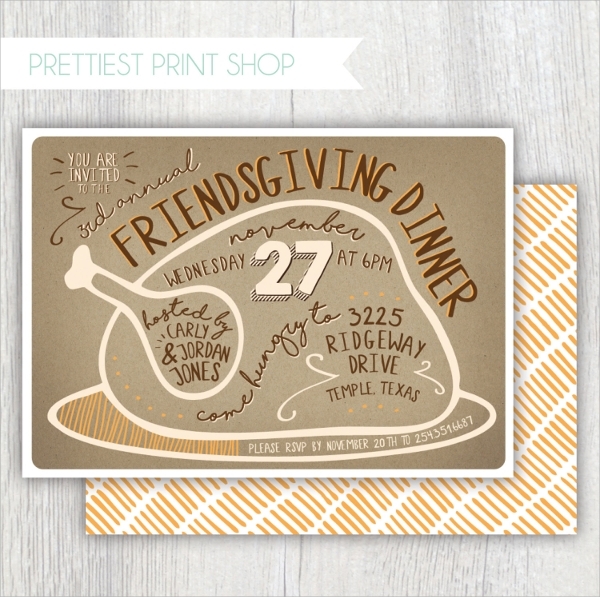 This is a cute thanksgiving invitation card template with cartoon characters depicted in an artistic manner. The color is consistent and the cover design is eye-catching. The borders are decorative with floral designs that look amazing. 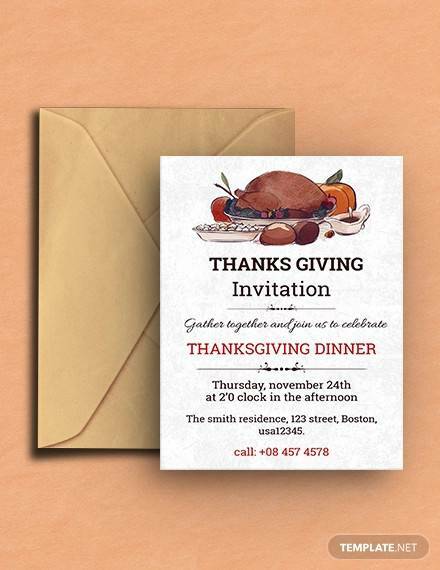 This is a premium thanksgiving invitation card template with minimal design. The icons are eye-catching and relevant. It comes with 5 x 7 inches with 300 dpi resolution. It sports a professional look with a clean layout. 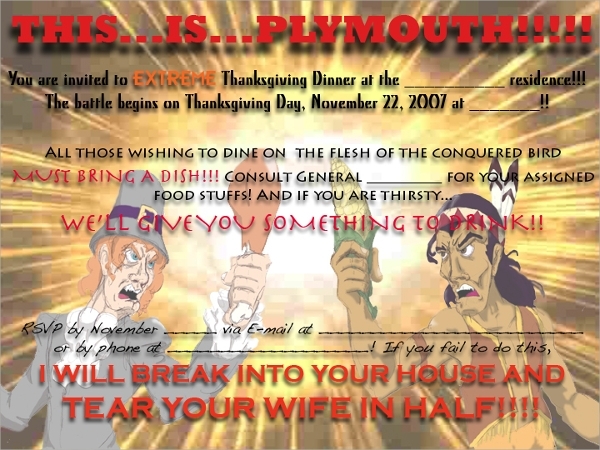 This is truly one of a kind thanksgiving invitation template. The fonts are awesome and the cover is glittering with small circular lights and it makes the design stands out. The color blending is out of the world and it is vector with high resolution. 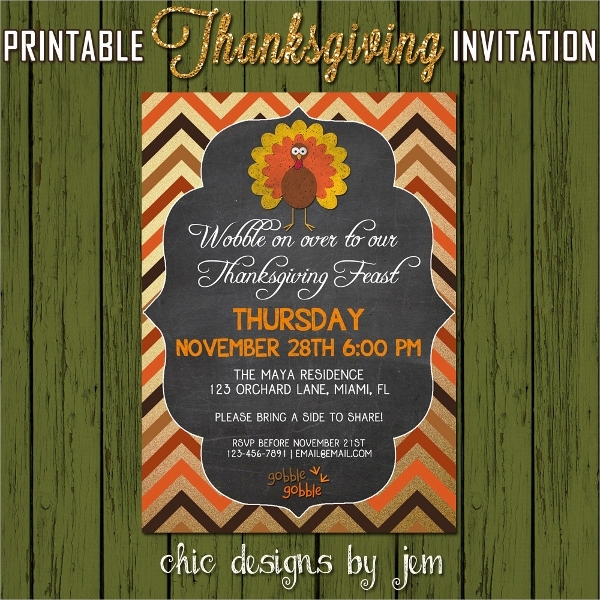 This is a typical chalkboard background invitation card template. The fonts are grungy and 3D in format. 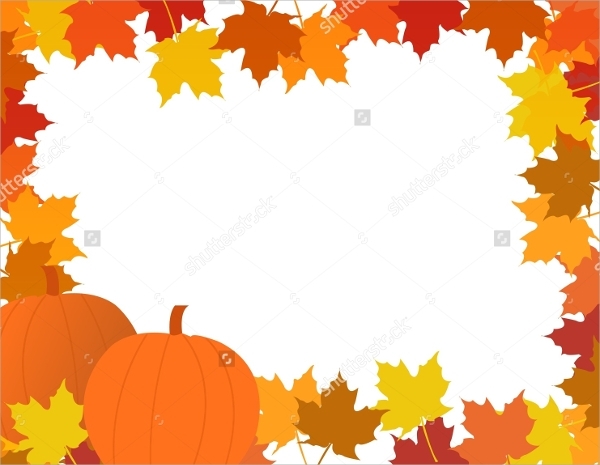 This has a border and dividers. 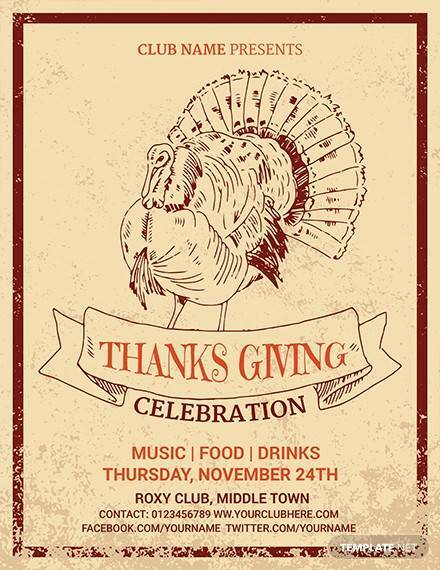 The layouts are well separated and it has a turkey to catch attention. The back cover has a word count design. 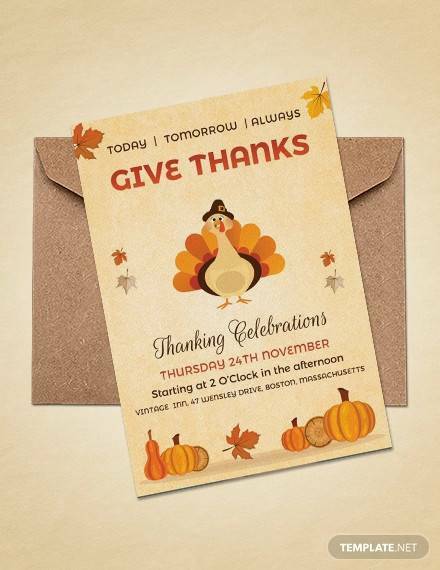 This is an awesome design for Thanksgiving Day invitation card. 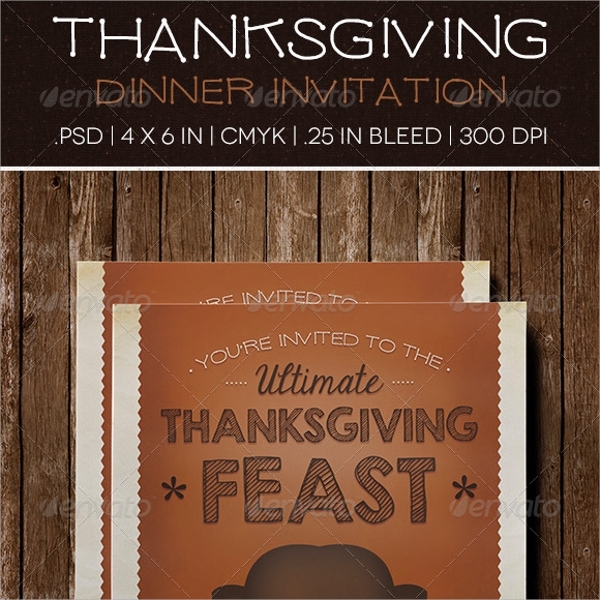 It has wooden cardboard background with pumpkins and other 3D floral decorative design in the borders. 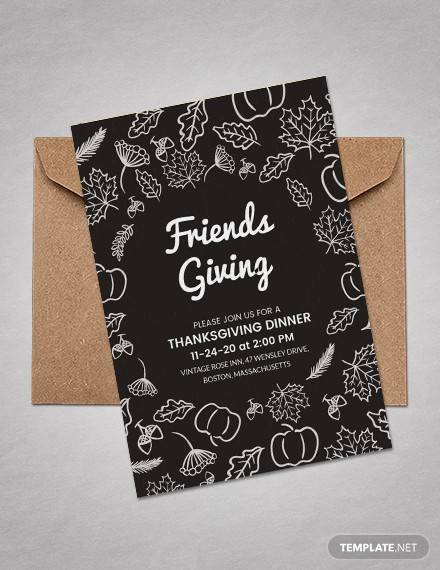 The fonts are eye-catching and the overall size is 5 x7 inches. 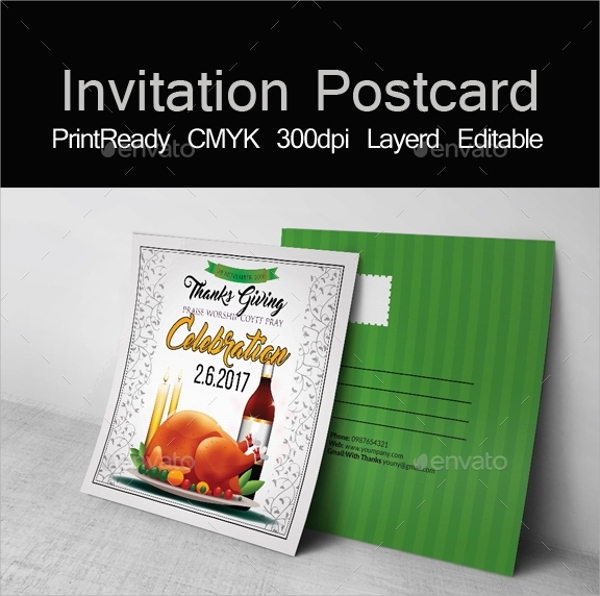 This is a simple invitation card design with highlighted background colors with a thick border. 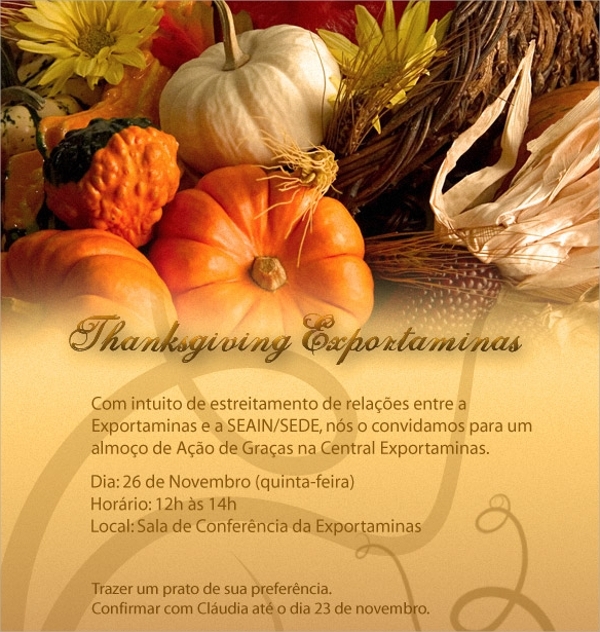 It is quite eye-catching and has italics fonts with contrasting colors. 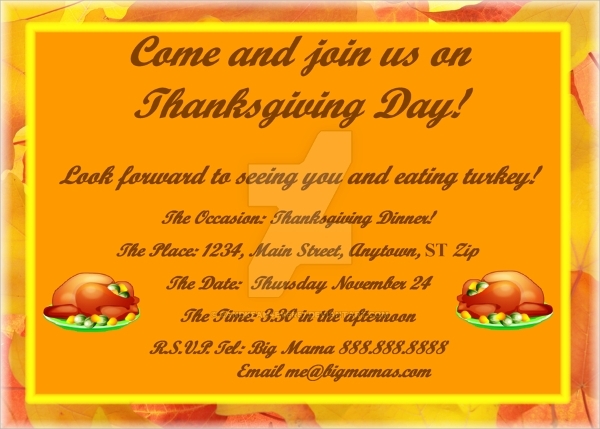 This is a flyer template for Thanksgiving Day invitation. It is available in 6 x 4 and 8.5 x 11 inches size. It has a wonderful background image and text highlighters. 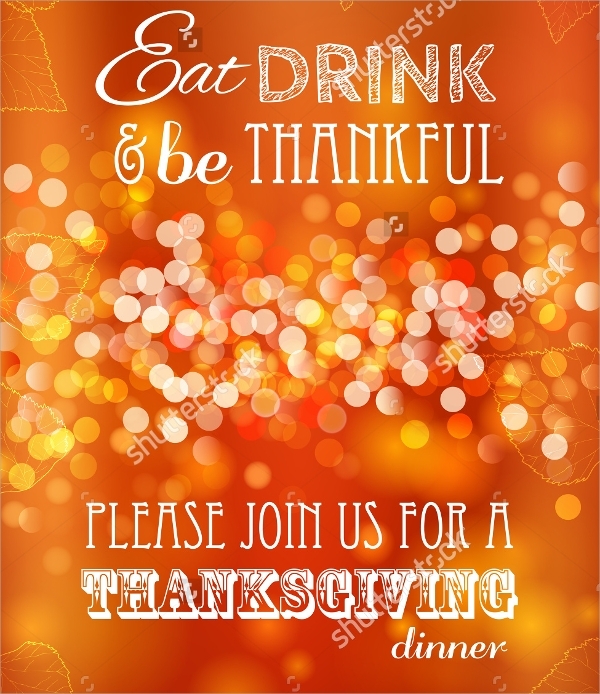 The color combination is mind blowing and the fonts are eye-catching. 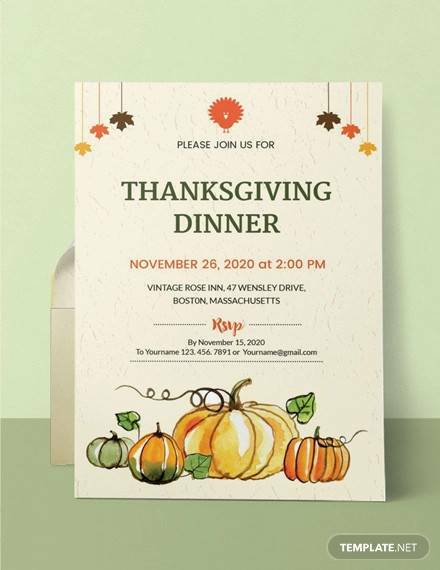 This is a simple yet elegant Thanksgiving Day invitation card template. 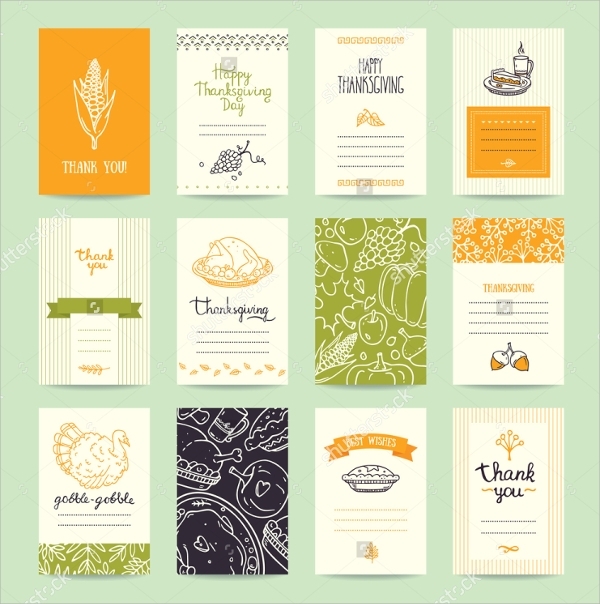 It has a wonderful background design and separate layouts for images and content. 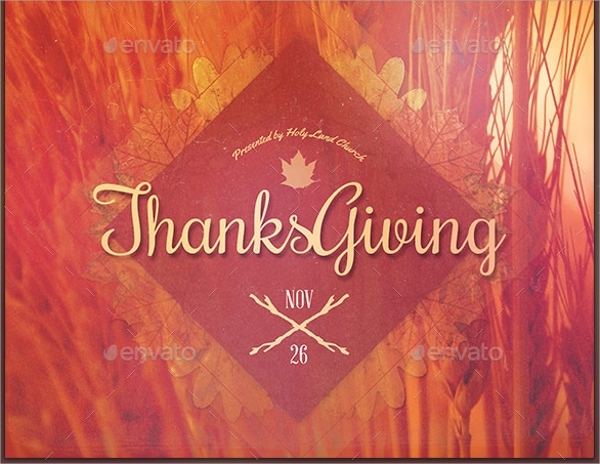 It is completely vector and totally customizable. 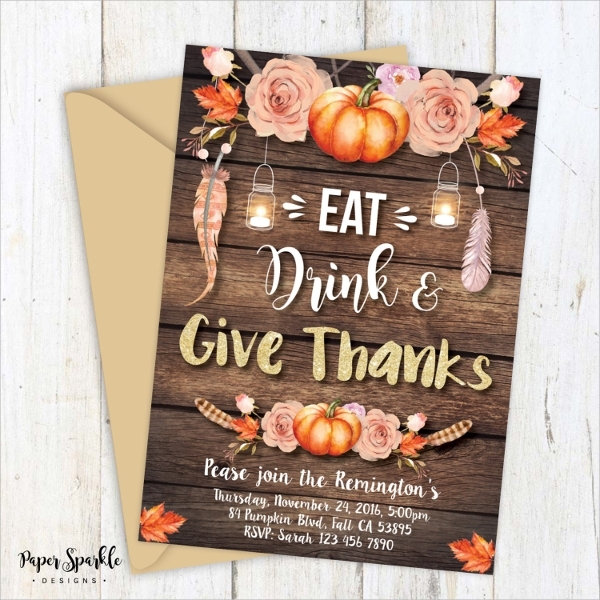 This is a unique Thanksgiving invitation design with a cartoon-themed background design. The background can be blurred for the text to get highlighted easily. This is very eye-catching and different from others.